Francis Hammond was Headmaster of the Market Harborough County Grammar School when it moved to this site on Burnmill Road in 1909. 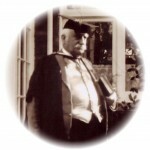 He continued to live in the School House at No.75 after retirement in December 1923, until his death in February 1937. 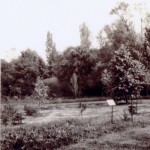 In 1911 he acquired the block of land behind his garden to create his “Dell Park Arboretum”. 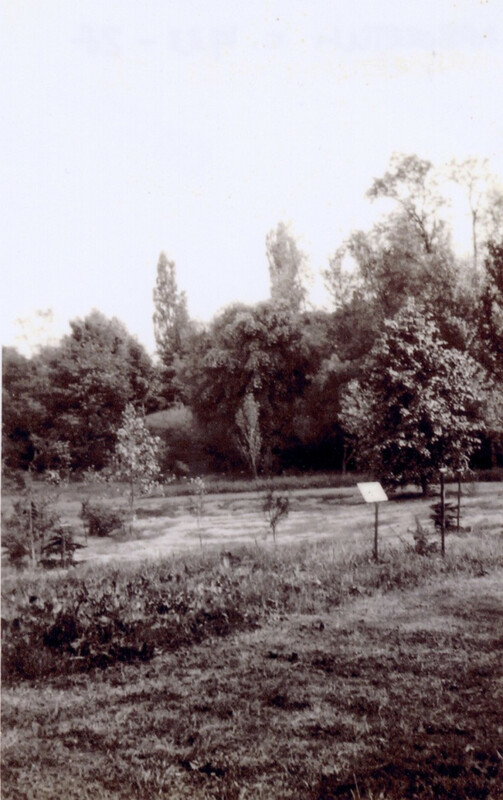 The first specimens, planted in 1913, were regularly spaced along the east and west boundaries; the next year saw plantings along the southern edge, bordering part of the Pinetum that his neighbour, Captain Chaplin, was planting. In 1916 Captain Chaplin sold land to extend Mr. Hammond’s southern border to what is now Park Drive. This new strip was to hold plants native to the Americas at one end and those from China and Japan at the other. Elsewhere on the 2.4 acre site collections were planted along pathways but although most of these have vanished with time, some of the hardier specimens remain to provide clues to the original layout. Many plants although familiar now, were unusual, or even rare, at the time of planting. Mr. Hammond labelled each plant in Latin and English and kept meticulous lists, annual observations and progress notes, in a loose-leaf ledger. After his retirement, he set about transcribing and updating this information into a new ledger, organizing each double spread to record the sequence of plantings along each path. 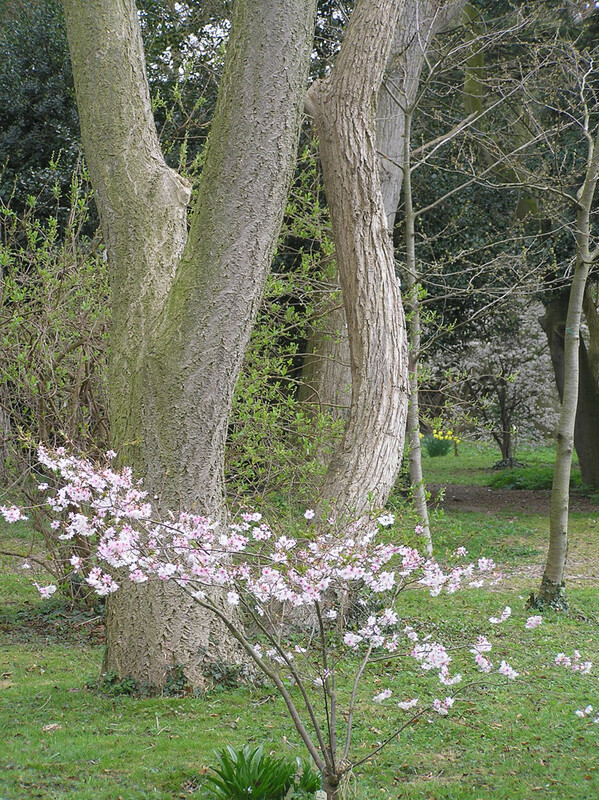 It is through this catalogue that we have a view of the original scheme of planting. In January 1934 Mr. Hammond celebrated his 75th birthday by planting a special present from his brother Ralton. 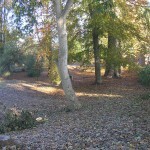 The Fagus sylvatica ‘Dawyck’, or Dawyck Beech, had only just become available commercially and a photograph survives of the rumpled little specimen that has now become a graceful tree of approximately 23m./75½ ft. in the NE quarter of the Arboretum. In April of 1936 a letter written from a Baker Street nursing-home to his godson Fred, indicates that he is hoping he will build up sufficient strength to return home to Market Harborough. This he evidently did because there is one last entry, dated June 1st, where he records a show of blossom on one of his 1916 shrubs. 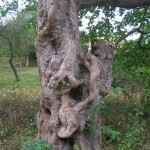 He died eight months later, on 12th February 1937, age 78, but his ‘tree garden’ has grown on…. 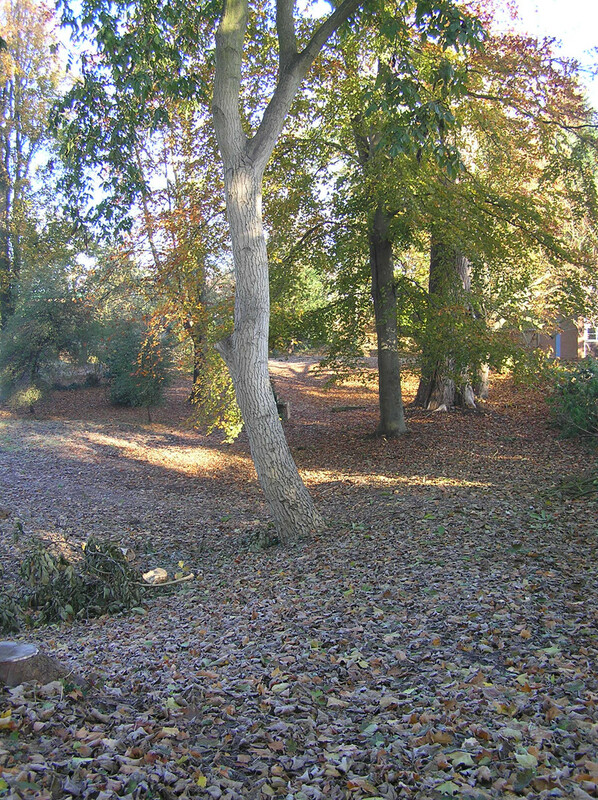 Since 1992 a small group of volunteers have been engaged in an extensive restoration project on the Arboretum, which had fallen into a distressed state through long-term neglect and the effects of severe weather. 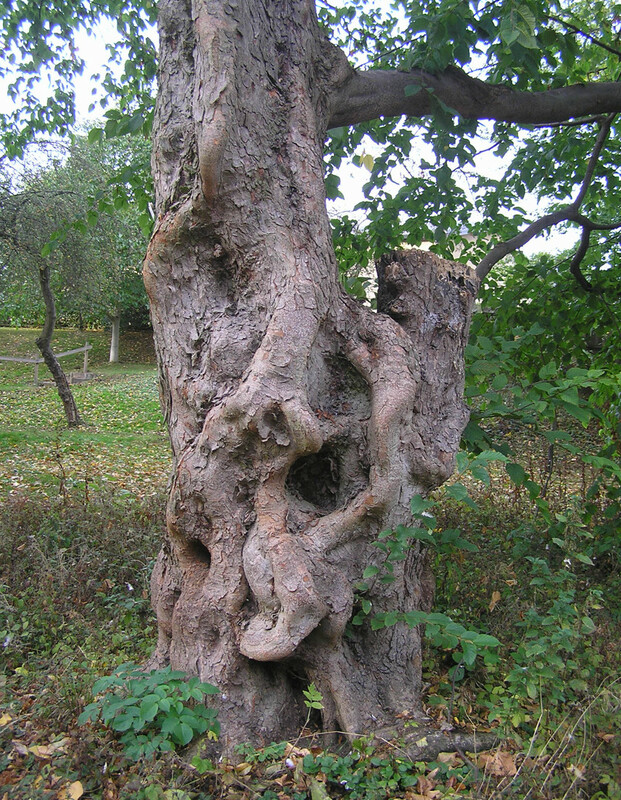 Significant support through grants of money and freely given expert advice have meant that over the last 20 years Mr. Hammond’s Arboretum has been restored to a condition in which visitors can again enjoy some of the peace and beauty of this unique ‘tree garden’. 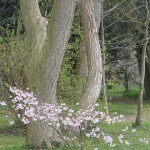 The Arboretum is open through the National Gardens Scheme (NGS) and on other days through the year as shown on the calendar. Talks and group visits are available. If you are interested in volunteering, you can contact us via Robert Smyth Academy.